Are you an expecting parent or a parent with a child under 4 years of age? Do you want to guarantee your child an IQ boost, a competitive edge, and easy access to a millennial culture? Do you want your child to be fully prepared for the 21st century? Would you like your child to be fluent in Mandarin Chinese? Well, I can tell you how to do it—and it’s probably much easier than you think. And I’ll tell you free of charge! That’s right, no expensive e-books, no exclusive seminars, no pricy memberships. All you have to do is read my blog, which is free and entertaining! First, let me tell you about my six-year-old daughter. She doesn’t speak Chinese, but she speaks native English, despite never having lived in an English-speaking country or done any schooling in English. She reads and writes at or beyond her grade level in English, and uses the language as fully and creatively as a child who has lived in the United States all her life. If you knew us personally, you might raise two immediate objections to the implied comparison. First of all, her father is a native English speaker and has used the language with her since birth, while you speak little to no Chinese. That’s true, even though the time she spends speaking with me in English makes up 10% of her day, while the rest is all in Portuguese. Second, you may say that English is much easier than Mandarin. If you’re a bit more sophisticated about language acquisition, you would say that English is easier for a Portuguese speaker. That objection is easier to counter, so I’ll start with it. Difficulty in language acquisition is undoubtedly a function of proximity to your native language, but that applies to second language acquisition, and in particular to adults. The whole issue of inherent language complexity or difficulty can be seen as essentially a moot point if you consider that children worldwide acquire their native language at about the same age. Children attain various levels of communicative ability at the same pace, regardless of whether their maternal tongue is English, German, Italian, Russian, Arabic, Zulu, or Mandarin. In addition, it is extremely common in various parts of the world for children to acquire two or more languages simultaneously, and in many cases those languages are unrelated. For example, a Basque child may learn Basque (a non-Indo-European language*) and Castilian Spanish, while a Burundian child from an educated family might learn Kirundi, Swahili, and French simultaneously. More to the point, undoubtedly countless Chinese American children right now are switching effortlessly between Mandarin and English in their homes. Therefore, there is nothing special about Mandarin or any other language that would make learning it alongside your native language vastly different from my daughter learning English and Portuguese simultaneously. Now to the first objection. Let me answer it by telling you about my Brazilian friend and colleague, Mr. Lima. Until recently, Lima and his family had never traveled to an English-speaking country. Although he speaks English, his wife does not, and the language is not used in his home. His daughter has attended exclusively Portuguese-language schools. Nonetheless, when they took their daughter to the United States for the first time when she was 5 years old, her English was so good she had no trouble communicating. Prior to that, they had enrolled her briefly in English language courses for children (including at the Natural Language Institute), but when she entered, she already placed at an advanced level. So what was Lima’s secret for his daughter? It turns out it was the same secret I have also used to full effect with my own daughter: children’s videos in English. In my daughter’s case, I would say watching English-language videos accounts for at least 30% of her native fluency in English. And in Lima’s case, his daughter’s advanced level of English, prior to enrolling in English courses or traveling abroad, was probably 90% due to watching videos in English. There is no reason you cannot do the same with your children in Chinese. If you can get your children to watch an hour or two of videos in Mandarin from an early age, I guarantee you that in a couple of years, they will obtain excellent oral comprehension, which you can then build on by enrolling them in classes (preferably with a private teacher or in a very small group) and/or by taking trips to Mandarin-speaking countries. The reason I recommend this be done with children under 4 years of age is that they will offer little or no resistance. In particular, if you can get your acquiescing 1-year-old infant accustomed to Chinese videos, by the time they are old enough to start complaining and insisting on their own preferences, they will understand enough to stick with it (with a little enforcement on your part—Lima only allowed his daughter to watch cartoons if they were in English). So, now that you know this great secret, I know what you’re thinking, or at least what’s in the back of your mind. WHAT are you going to get your kid to watch in Chinese? How are you going to get access to videos in Mandarin? How do you know if they are watching quality content that will contribute to their education and morals and not some strange show that will unhinge their Western socialization process and give them recurring wuxia nightmares? You don’t have the time or energy to do in-depth research on Chinese children’s programming and then mail order DVDs from Beijing, do you? WHAT CAN BE DONE? Well, I HAVE THE ANSWER FOR YOU. This is where my Mandarin language acquisition experiment comes in! What if I tell you that by typing two words into YouTube you can access endless videos in Mandarin that are ideal for your small children? That’s right, at zero cost, and with the slightest of efforts on your part, your children have at their disposal years’ worth of quality programming for toddlers. This show is specially designed to get Chinese children to learn Mandarin—including the recognition of many Chinese characters. And—newsflash—your small child’s highly plastic American/European/Brazilian/etc. brain is not essentially any different from the brains of toddlers growing up in Beijing or Shanghai, so they will learn just the same. This show will teach your kids to brush their teeth and they will never forget to wash their hands. They will learn to be friendly, polite, eat fruits and vegetables, and respect their elders. And, most importantly, I give you my personal guarantee that if you get your little kids addicted to this show, such that they watch one or two hours per day of it, in a couple of years they will understand Mandarin quite decently for their age level. Of course, your job as a parent won’t be completely finished. You’ll still have to teach your kids to ride a bicycle. And you should eventually enroll them in Chinese lessons, get in touch with your local Chinese immigrant community to find opportunities for them to make friends and play in Chinese, and take them on a couple of trips to mainland China, Taiwan, or Singapore. But have no doubts: Qiao Hu will lay the groundwork. Stay tuned for a future post about using dubbed Disney movies to hone your children’s Mandarin language comprehension skills! * The origins of the Basque language are unknown, but scholars believe it descended from pre-Indo-European languages present in the Iberian Peninsula. This is really brilliant. Extremely well articulated and impeccably argumented. Congratulations on your rhetoric and your logic. It almost makes me want to start myself, at my mere 65 years of age. But I think I’ll pass . . . maybe. Inspired by this blog, I picked up 5 CDs in basic Egyptian (no other variety, forget it!) arabic. It’s coming back like mad AND improving my hugely rusty arabic. Only listening–not even a video. This blog should be put out in some format that really gets attention. Shie shie! Thank you very much, I am flattered! You know, the way you learned Arabic in Egypt helped inspire my natural methodology for language acquisition. At the time, I didn’t fully understand the refusal to use dictionaries or translate terms, but years later, as I developed my methods for teaching English and other languages, I often recalled that approach and now entirely agree with it. Glad to hear you’ve felt inspired to brush up on the Arabic. Great post! I remember street kids in Niamey, Niger, who spoke their native language, Hausa, plus enough French and English to deal with the tourists. Kids have to want to learn something and there are many incentives, not the least of which is survival, as for those street kids. But children also love to please their parents, and they love videos, music, and mastering new skills. Yes, motivation is of course critical. 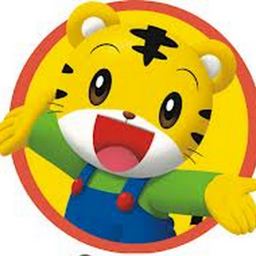 I think Qiao Hu would do it though for the vast majority of toddlers – it’s well done, colorful, lively, etc. for that age group. Not so motivating for an adult, which is unfortunate, because for best results I should watch as much as possible of it, instead of movies and Boonie Bears. It’s perfect for a beginner, and probably for an intermediate learner as well. You write with such enthusiasm that I’m kinda wishing I had a kid just so I could get them learning Chinese, haha. Great blog post! Maybe you will before I’m done with my experiment! Great info! Will check it out! Thanks & wishing you happy Autumn! Hi, I just found your blog and wanted to say Thank you! It is great and I am really impressed. I do not speak mandarin but am trying to get my two young daughters to learn, 2.5 years and 1 year. Qiao Hu is a big favourite. Just wanted to share another really good cartoon with you. My oldest can watch this for hours and it seems like the language is really good. Peppa Pig in Mandarin (64 episodes). Hi Johanna, I’m so glad you liked my blog! That is so cool about your daughters. What is your motivation to get them learning? I appreciate the Peppa Pig recommendation. I’m going to pass it along to my daughter, who is 7. I don’t really expect her to learn Mandarin at this point, as our focus in English (we live in Brazil) and Spanish, but who knows!